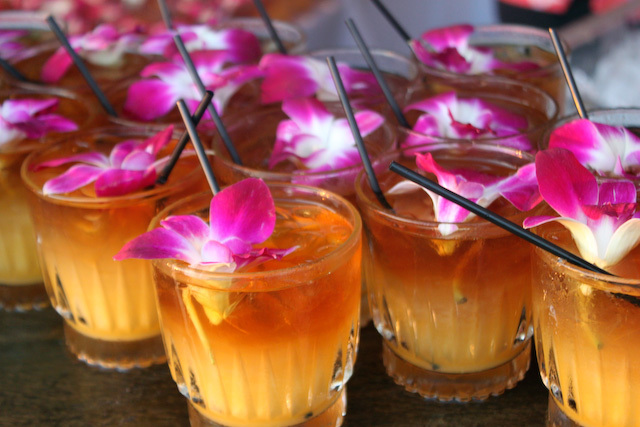 At most of the parties I attended in Hawaii, mai tais were served in abundance. The drink, made from rum, Curaçao liqueur, and lime juice—certainly looks very nice with a pink orchid on top. The best thing in the way of food, hands down, is the poke. There are tiny little shops that sell nothing but dozens of varieties of this cold, raw seafood specialty. 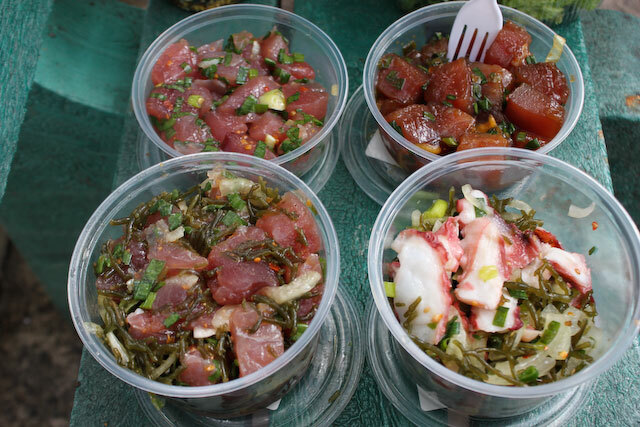 The best one is made from fresh tuna (ahi) but there are lot of other yummy varieties, like octopus, for those of you’re trying to avoid eating too much mercury (which we all should). It’s amazing how spoiled we get about food in NYC, everything is available whenever we want it. This entry was posted in Food & Wellness, Out & About, The Good Life and tagged food, green juice, Hawaii, health, mai tai, poke, vacation. Bookmark the permalink.